A must try If you're into rum this is a must try. I like it ice cold, out of the freezer. 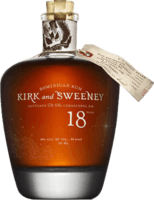 This is one of the most complex and enjoyable rums I've ever tried. A solid 9 I can't believe I'm seeing 7's for this rum. I think its a solid 9. It's a high priced rum that delivers as sipper. A good American rum It's good stuff... It's a little on the drier side and is unnecessarily expensive. But, still, its a rum worth trying. Very good! No...its not better than the 12. Not by a long shot. Anyway, this rum is sweet and mellow with a little bit of oak but not much. 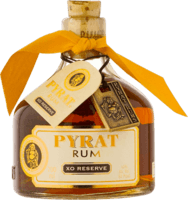 Why is this rum gone? This is one of the better rums I enjoyed. But, I can't find it in NY anymore. Anyone know what happened? 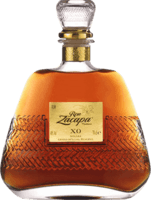 Good, but over priced This rum is like paying Mercedes prices for a Volkswagon... It's a very good Anjeo but for that price there is much better out there. One of the best This is another must try. No, it's not as good as the 12 but its still a top notch rum. Not "Grand Anejo" quality It's a good rum, but that's the problem. A Grand Anejo should offer something a little more. 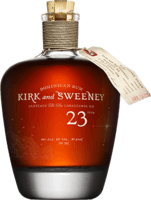 Not bad, but over priced This is a very good rum but the quality does not justify the price. Cruzan made a very interesting single barrel that is very versatile. Rum meets moonshine I think they were just playing around with this one or ran too large of a batch and went straight to bottling. Better than Bacardi Silver In the commercial grade rum price range this would be a great alternative to Bacardi Silver. Another one bites the dust More proof that the word Anejo needs to be better regulated. This is a good, ordinary bottle of rum. Not Impressed This is yet another example of the word Anejo appearing on a bottle of rum that is of "okay" quality. Its in every bar for a reason... It's the cornerstone of dark mixing rums. Enough said. Better than Bacardi Gold! If you're looking for a dark rum to use as a mixer this is the one. It does not have the gasoline finish that Bacardi Gold inflicts on its drinkers. Not impressed I think the history behind this rum is more exciting and interesting than its taste. It was...okay. Not bad, but not the great rum I expected. Not a rum drinker's rum It's better than Bacardi silver...but its just a mixer. Fail... Sorry, but not even close to Appleton's 8 and Bercelo's Imperial. There's no body at all, the smell is faint, and the finish is rough. It's just as good as.... It's just as good as Malibu but offers a little more of a bite with the sweetness. A horrible way to honor the admiral This is a half hearted spiced rum. Better than Captain Morgan, but its still not very good. Another Gold Mixer Better than Bacardi Gold. This is a rum and coke rum. All purpose, commercial grade rum It's a mixing rum, one step up from the fuel grade rum you'd see in a bartender's well. No quite This could have been a good commercial grade dark rum but it just doesn't have it. Are you kidding me This rum is horrible! It's a tobacco flavored Bacardi. Send the cigars, keep the rum! Nice try, but no... I thought it was a joke then I realized the bottle read "Rum" on it. Nice try, Bacardi...but, no. This is a total mess. An epic failure Don't try to be Captain Morgan...that's just another commercial grade rum and both of you make enough of it! Sorry, no way! The extra aging has done nothing to help this rum. It's still a mess. Pepper Rum Um...no! Cool bottle though. But, hot peppers and citrus are only good in a BBQ sauce. Don't waste your money This rum is horrendous and is actually worse than Bacardi Silver! A fuel grade rum with a little age This is the same train wreak as the Pale rum. What makes this worse is they actually wasted a barrel by putting fuel grade rum into it. Fuel grade rum I would use this rum if my lawn mower ran out of gas... Totally undrinkable. Only for race cars! This is fuel grade booze. Period. I wouldn't even spike a punch with it.